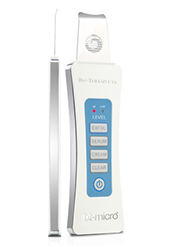 The bt-micro is a hand held professional technology that achieves ultrasonic exfoliation using patented technology. bt-micro ultrasonic exfoliation works by creating high speed oscillations, leaving skin smooth, fresh, and perfectly prepared for product application. The bt-micro is powered by a rechargeable battery, compact, lightweight, and extremely effective as a stand alone tool or used in conjunction with other technology services. The bt-nano system is the ultimate mini system, utilizing the patented Suzuki Sequencing™ platform. 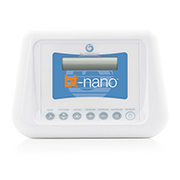 The bt-nano is compact and lightweight and can be placed in or out of the treatment room. It is suited to any environment, home or salon, due to its size, portability, and convenience. 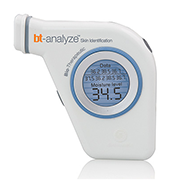 Using bio impedance technology and a new patented skin membrane sensor, the bt-analyze uses advanced technology to calculate the moisture content levels of the skin. This device is used in multiple zones of the face to clearly define the needs of each area. Each reading is saved and displayed on the newly designed intelligent LCD screen so that it can be documented at the end of the analysis. This tool gives quick scientific guidance to clients and begins the process of making them an active participant in understanding their skin function and need for specific products and services to reach their goals. The bt-analyze should be used before and after each service, to capture improvements made and to note modifications needed. 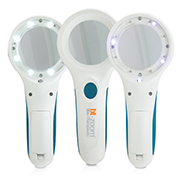 The bt-zoom is a hand held magnifaction lamp that magnifies up to 5x. It has 8 clear LED lights to enhance skin details, and 4 UV LED lights allowing for rapid observation of client's skin. 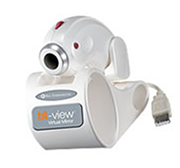 Dimensions: 8" x 3 1/4" x 1 1/2"
The bt-view helps in skin analysis that offers the skin therapist and the client a close up view of their skin. This device allows the skin therapist to precisely evaluate and prescribe the appropriate products and services for the client. The system is compact and attractive. It arrives complete with a docking station, can be used with any PC and powered via the USB port. It has Clear LED Light Ilumination System built into the lens, convenient "thumb" focus adjustment, and allows for 200X magnification. Still images can also be captured and saved. 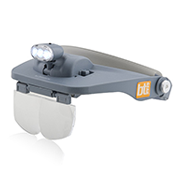 The bt-vision is a self lit vision visor that is battery powered, lightweight, features our perfect white light LED illumination system, and comes with range of magnification lenses; 1.2X, 1.8X, 2.5X, 3.5X. This handy device is intelligent and can be used in the treatment room or out for on the spot skin analysis.